It's probably not enough to knock it out of orbit but satellite radio provider Sirius XM has agreed to pay $3.8 million and make restitution to eligible consumers to resolve claims that it snared consumers with misleading advertising and billing practices. The attorneys general of 45 states and D.C. alleged that Sirius XM engaged in misleading, unfair and deceptive practices in violation of state consumer protection laws. Sirius XM said it was pleased to have resolved the issue. 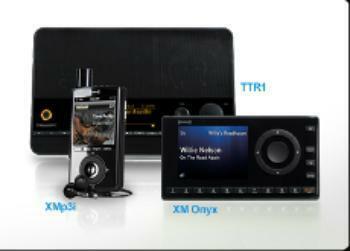 "The changes to our consumer practices that we agreed to are practices we have already implemented at SiriusXM. Under the terms of the settlements, we have agreed to provide, upon the request of the States, additional information about our consumer practices and to participate in a process designed to address any previously unresolved consumer complaints," said Patrick Reilly, Senior Vice President, Communications. The states’ investigation focused on consumer complaints involving: difficulty canceling contracts, cancellation requests that were not honored, misrepresentations that the consumer’s Sirius XM service would be canceled and not renewed, contracts that were automatically renewed without consumers’ notice or consent, unauthorized fees, higher and unanticipated rates after a low introductory rate, and Sirius XM failing to provide timely refunds. “This settlement will put a stop to the numerous unfair and deceptive practices Sirius employed to overcharge customers,” Illinois Attorney General Lisa Madigan said. To be considered for restitution under this settlement, consumers must file a complaint by May 3, 2015, concerning Sirius XM conduct between July 28, 2008, and Dec. 4, 2014, involving an actual loss that has not been previously resolved with the Attorney General’s office. Consumers who previously complained about Sirius XM to their Attorney General’s office do not need to re-file in order to be considered for restitution under this settlement. Consumers who have not previously filed a complaint with their attorney general for the practices covered by this settlement have 150 days after the settlement’s execution date to file a complaint to be considered for restitution. Joining in today’s agreement were attorneys general from the following states: Alabama, Alaska, Arkansas, Colorado, Delaware, Georgia, Idaho, Illinois, Indiana, Iowa, Kansas, Kentucky, Louisiana, Maine, Maryland, Massachusetts, Michigan, Minnesota, Mississippi, Missouri, Montana, Nebraska, Nevada, New Hampshire, New Jersey, New Mexico, North Carolina, North Dakota, Oklahoma, Oregon, Pennsylvania, Rhode Island, South Carolina, South Dakota, Texas, Utah, Virginia, Washington, West Virginia and Wisconsin. The Executive Committee consisted of attorneys general from Ohio, Arizona, Connecticut, Tennessee, Vermont and Washington, D.C.